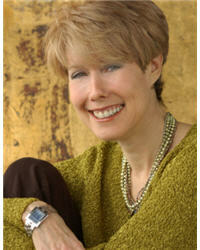 Life Mastery Radio April 16th, 2013 Guest: Andrea Adler. Andrea pioneered Holistic Marketing in the early 80’s. Referred to as the “metaphysical marketer,” Andrea is the founder of Holistic PR.com and the author of Creating an Abundant Practice and The Science of Spiritual Marketing. For 35 years Andrea has supported small businesses and entrepreneurs to discover, message and market their souls purpose. She has helped hundreds of clients embody their authentic voice, look and feel, so they project their core message throughout every aspect of their business . Andrea has written over 50 articles on holistic marketing, translated in five languages, and has appeared on numerous radio and TV shows throughout the world. Andrea has supported Internet companies, small businesses, cultural creatives, and entrepreneurs in Europe, Canada, Mexico, Venezuela, and the United States. Andrea has been a contributing editor and writer for Body, Mind, Spirit, and has written articles for Massage Magazine, Living Natural, Massage Today, Akkadian Magazine, Spirituality and Health, Tathaastu, Marketing Holistico in Mexico City and UNO MISMO, in Buenos Aires. Both Living Natural and Massage Today featured Andrea on the cover. A recipient of the Axiom Business Book Award in 2008, Andrea has been a Key-Note speaker at hundreds of conferences including: The Science and Consciousness Conference, Natural Awakenings Annual Conference, Mountain Biz, The Holistic Medical Assoc., New Leaf Distributing, INATS (International New Age Trade Show) and Expo Ser in Mexico City with Deepak Chopra. Andrea has studied meditation for 36 years, living in ashrams and meditation centers in India, Paris, New York, and California.